Here, ahead, you can directly download official February 2019 factory images for all Google Pixel devices. To provide the best reliability and experience to all customers, Google pushes new software builds each month with updates and changes. While the brand saves major revamps for annual version upgrades, these monthly updates carry smaller improvements and address any issues that have been reported by users. For February 2019, unlike the previous month, most changes revolve around improving security rather than integrating any new functional patches. This, however, doesn’t take away from the fact that this build is quite important and users should always run latest software on their devices. To flash the official update manually, download February 2019 factory images from ahead. Google initiated this monthly update cycle years back with the main motive to make Android more secure. 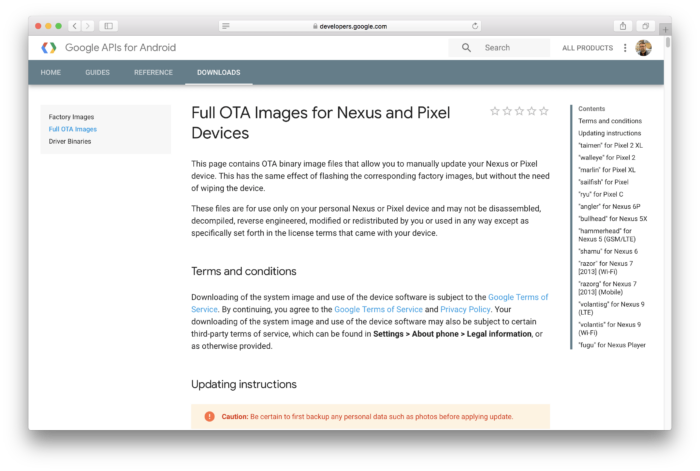 Implementing the commitment, it started pushing new OTA updates each month across all of its devices. Further, on top of security changes, the brand decided to also patch in other bug-fixes and improvements which were otherwise being pushed in minor Android version changes such as 6.0 Marshmallow to 6.0.1 — which are no longer there. This approach has simplified Android versioning and has also brought with it a route for the company to release smaller changes for its phones. As for the month of February, we have complete images linked ahead. These packages come in handy especially when you want to return to factory settings after installing a custom ROM, TWRP custom recovery or root on your device. List of devices compatible with new February 2019 security patch are: Pixel 3 XL, Pixel 3, Pixel 2 XL, Pixel 2, Pixel XL, Pixel and Pixel C.